I’m sure that you’ve realised by now that our holiday to Cornwall was literally packed with fun things to do. I’m going to share a week long travel guide to staying in Cornwall shortly, but before I get to that post I’ve got one more family day out to share with you. While we were staying at Porthleven Holiday Cottages we travelled down to Gweek to visit the Cornish Seal Sanctuary. This wasn’t just any visit to see the seals, as we were going to be enjoying a very special VIP experience at the sanctuary. We arrived at the sanctuary before the attraction opened to the public as we were going to be enjoying a private tour as well as Breakfast with the Seals. We arrived in Gweek at 10.30am and we were greeted by Asa, our tour guide for this very special expereince. He was very knowledgeable and clearly very passionate about the work the seal sanctuary did to rescue and rehabilitate the seals. It’s important to mention that the Cornish Seal Sanctuary exists to help seals who have become unwell or injured in the wild. They provide the medical attention and recuperation they need and reintroduce them to their natural habitat. There are some permanent residents at the seal sanctuary, but this only happens when their conditions means it would be unsafe for them to return to sea. We began our tour of the sanctuary in the Seal Rescue Hospital. This is where all rescued seals start off at the sanctuary in terms of getting them assessed and providing the medical help they need. The girls really did enjoy seeing the seals here, and it was interesting seeing the work the hospital do. It was a shame to see poorly seals though, but this is the beginning of their journey back to health so infect it’s a very positive journey for them to be on. Without the work of the Cornish Seal Sanctuary at lot of these animals simply wouldn’t survive in the wild. Before heading out to the various pools in the Seal Sanctuary, we stopped by the seal’s kitchen. This is where the daily fish is prepared and weighed for the seals. They are fed in a sustainable way, being offered the same fish they would source seasonally in the wild. 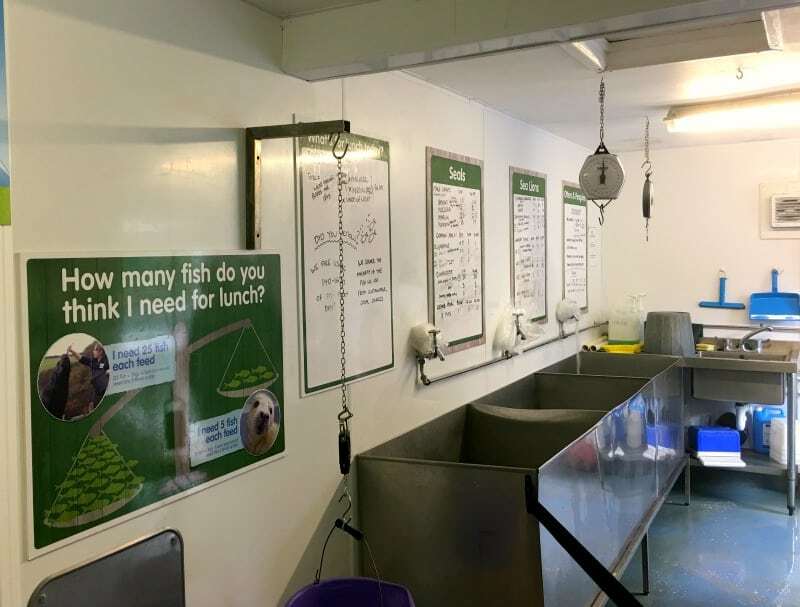 It turns out seals eat a lot of fish, and the sanctuary gets through 30 tonnes of fish a year! We were looking forward to be able give the seals a little bit of this later. 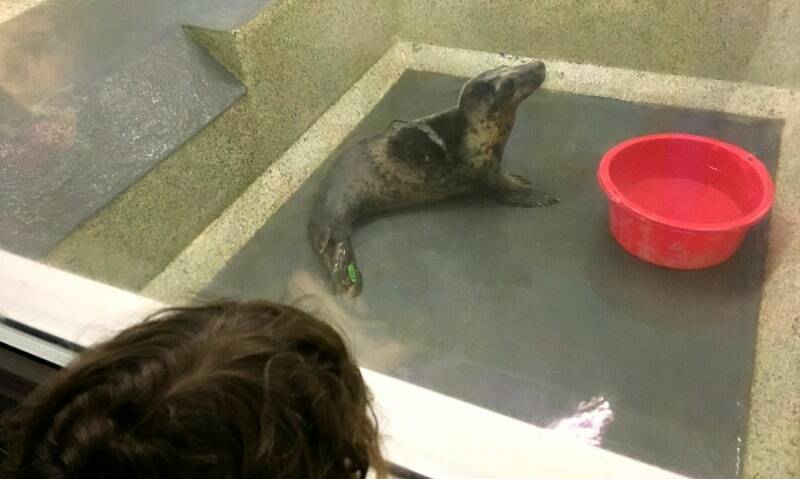 When the seals are ready to leave the hospital they move into the Convalescence Pool, to help with their rehabilitation. The santactury are committed to encoring the seals to build the skills they will need to survive in the wild, and this is particularly important with seal pups. Did you know that seal pups leave their mother at just 3 weeks old? This was certainly news to me and of course it can present challenges for these young animals in the wild. 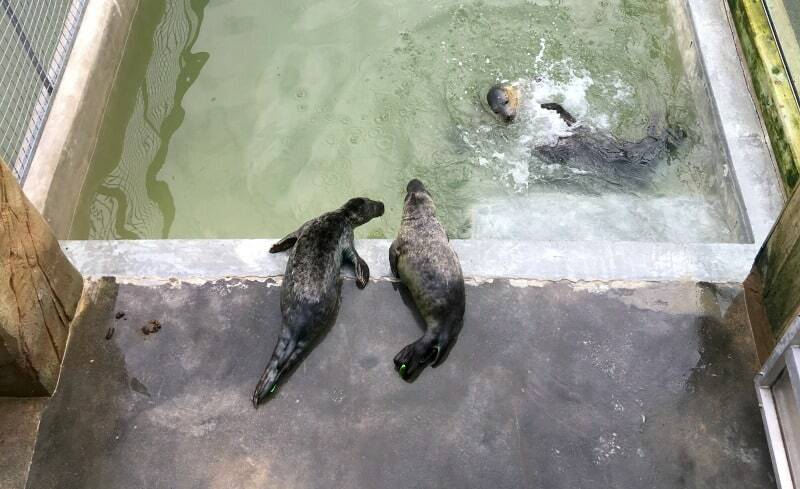 You can read more about pup season at the Cornish Seal Sanctuary here. 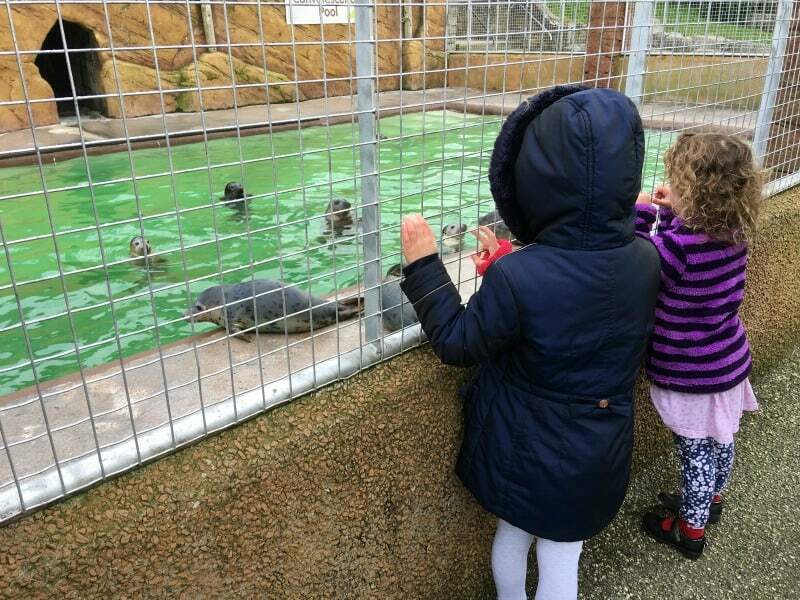 Seeing the seals in the Convalescence Pools really lifted our spirits and we learnt lots of interesting facts like how the water they use across the sanctuary is taken from the Helford estuary so it’s natural for the seals living there. We were also told about how intelligent the seals are and how husbandry is used at the santctary to help the seals with taking part in things like health checks. They are very clever animals and this is about providing a stimulating environment for them, not teaching them circus tricks. As we moved through the sanctuary we reached the final pool and the highlight of our expereince that day. 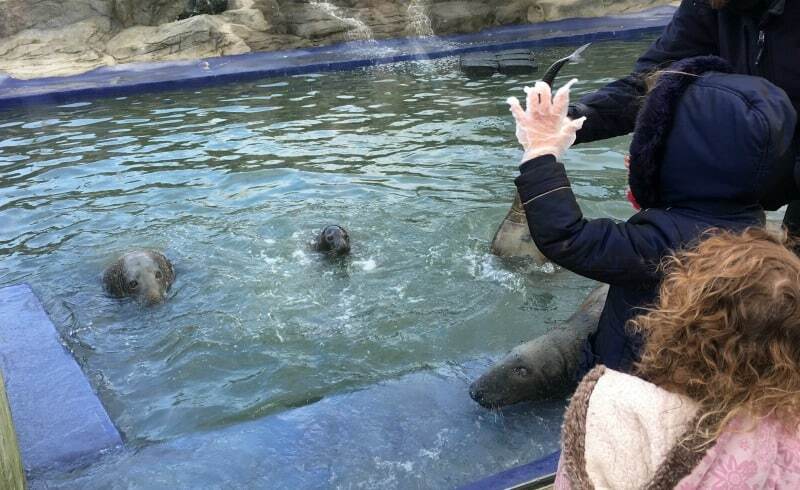 After being introduced to the seals in the pool, we popped on some gloves and we all had a go at feeding the seals their fish. Being able to enjoy the seals in this way was a very special experience for the girls. They were so close to them, and the whole experience really helped them to understand the issues these animals face in the wild. We saw one seal that had been caught in a fishing net and had suffered a very deep wound to his neck. This was particularly sad but also made us realise that a lot of the issues the seals faced in the wild were man made. After our Breakfast with the Seals expereince we were taken to the cafe where our breakfast was ready and waiting for us. The staff in the cafe were really helpful and made sure we had everything we needed. The girls had cereal, fruit and toast and we enjoyed coffee and pastries. It was the perfect way to finish our tour and afterwards we were free to enjoy the rest of the Cornish Seal Sanctuary, including the otter trail, the play areas and the other animals that live there. 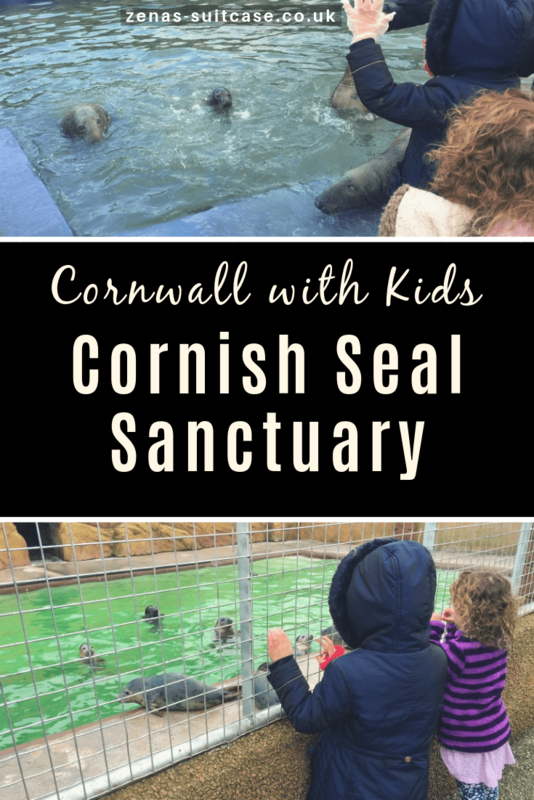 We really loved visiting the Cornish Seal Sanctuary and there were certainly elements to it, like feeding the seals that were really fun for all of us. What we really took away from the experience though was a raised awareness of the impact some of the things we as human beings do can have on the seals and other fish and animals living on our coastline. There is a really interesting display about the impact of plastics on the environment and what happens when they end up in the sea. As well as seeing the seals, this has made me very keen to change some of our habits at home to reduce the amount of plastics we use. I would certainly recommend taking your family to the Cornish Seal Sanctuary if you are visiting Cornwall, as you can support the important work they do. I also think you will start to think about what you can do to protect seals and other animals in the wild. Helping children to connect with their environment in this way is also bound to beneficial for the future of the seals and our planet. 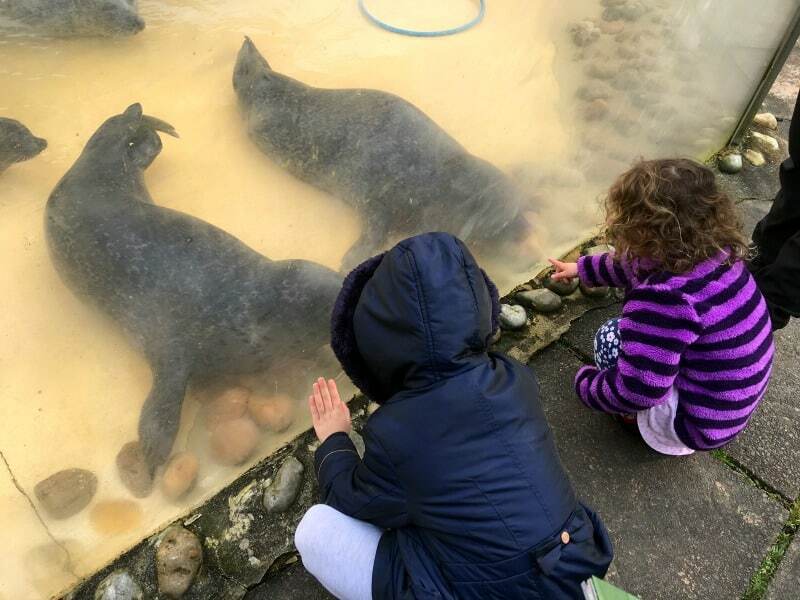 We were provided with a complimentary family ticket to visit the Cornish Seal Sanctuary and enjoy the Breakfast with the Seals Premium Experience in exchange for this review but all thoughts and opinions are our own. I always make a point of going to Natureland in Skegness ever year, this is a seal sanctuary too. I’d love to be there on my own for feeding time!